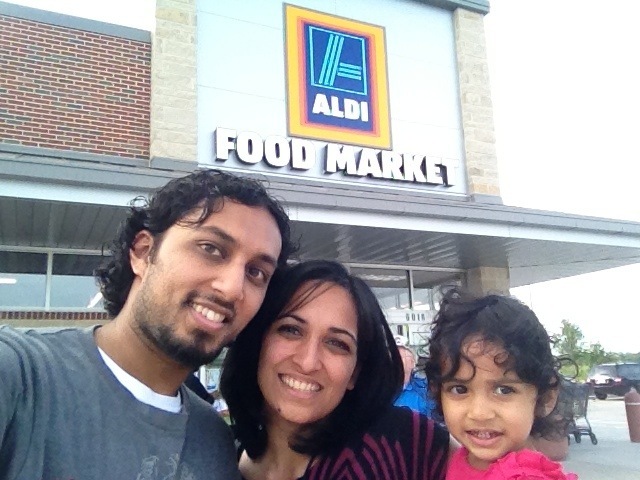 Last week, we made a visit to Aldi, the trendy discount grocer, the day before its grand opening in Sienna Plantation. 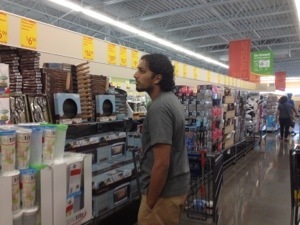 As soon as we entered, we were greeted by a narrow aisle lined with tempting snacks. I picked up a box of dark chocolate coated butter cookies for around $2. 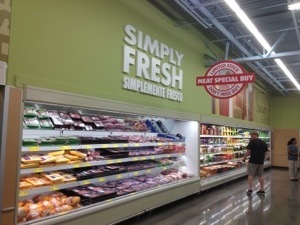 We passed through the meat and produce aisles. 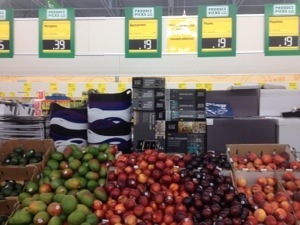 I grabbed two mangos for 39 cents each and a pineapple for 99 cents. 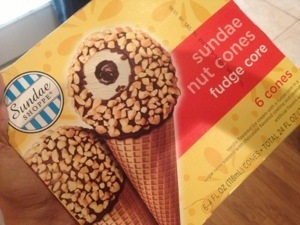 Then in the frozen section i got some fudge ice cream drumsticks for $1.99. Aldi may not a place for all your grocery shopping needs, but it’s a fun spot to grab a few cheap items like milk or eggs.